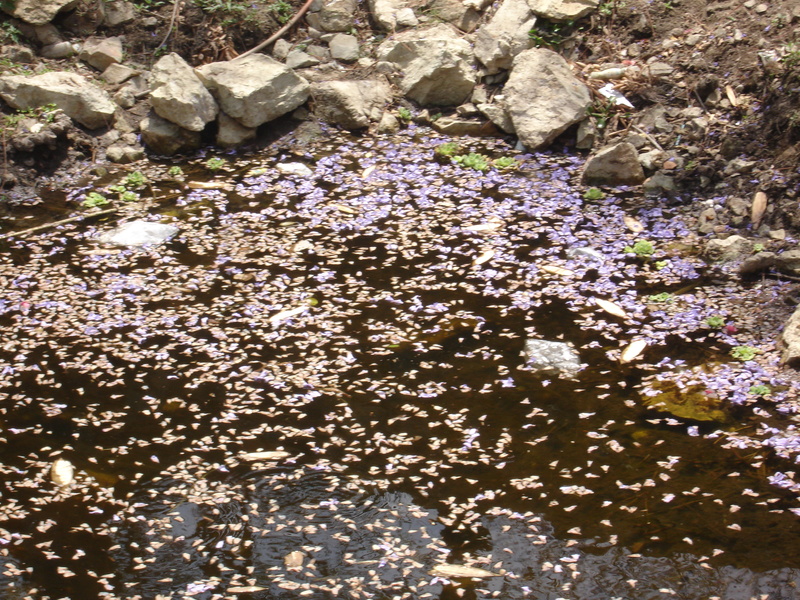 Purple litter on lawns; on ponds. It’s scattered in streets, in lanes, in boulevards. Purple litter mounds in gutters; against stone walls. Purple litter above my head. It’s on my mind and in my soul. 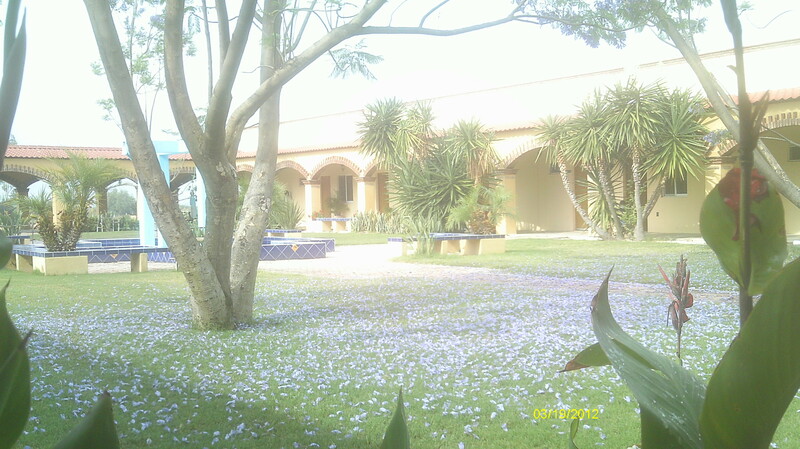 Billions of blessed purple flower petals. 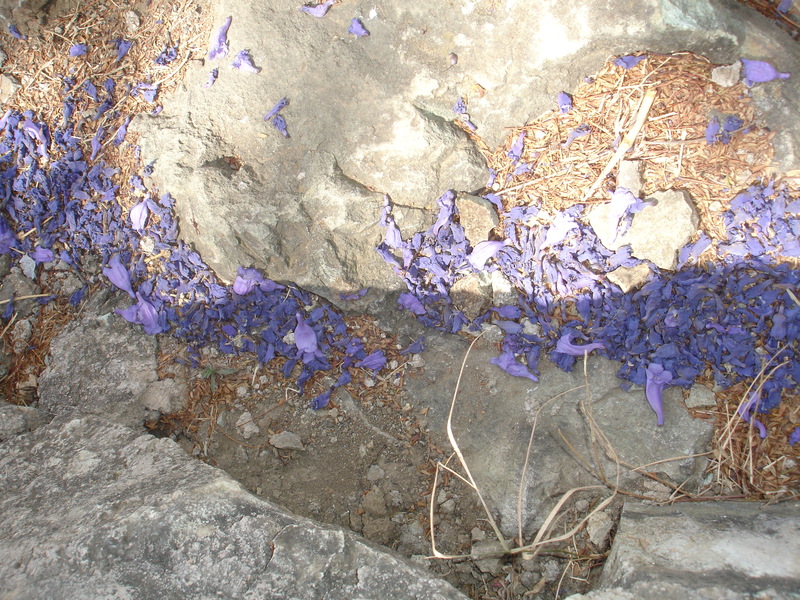 Pics of Oaxacan Jacaranda trees and their beautiful purple petals.